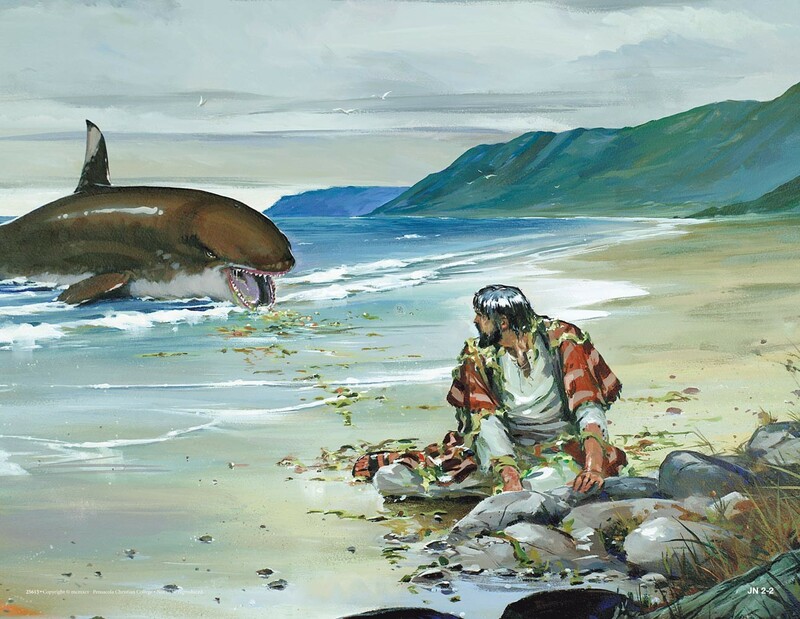 So begins one of the strangest stories in the Bible: Jonah. Almost sounds like a fable or made-up story, doesn’t it? I mean, a guy swallowed by a great fish? Really? Yes. I assure you, it really happened. 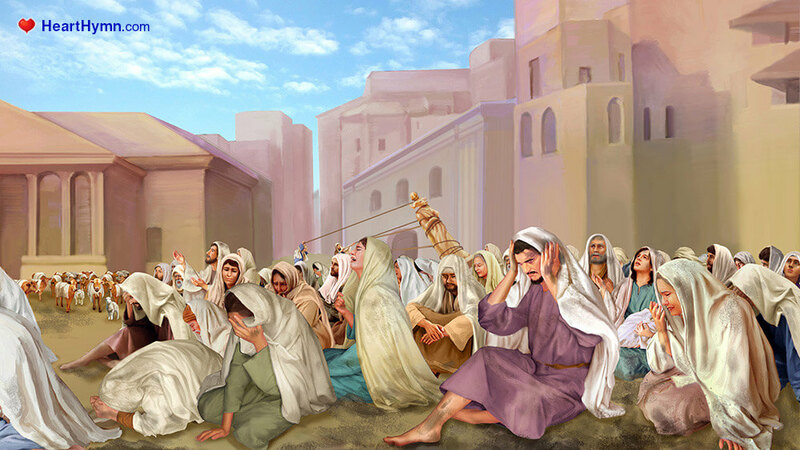 It starts out well enough with the LORD giving a word to Jonah, telling him to go preach to the wicked city of Nineveh. Why these people? Because our God is a God of great compassion! He wanted to give this evil nation a chance to repent from their great sin. They were so bad and hated the Jews so much, in fact, that they had many imprisoned, tortured, and even killed. That’s why Jonah hated them and wanted the Ninevites to die. He didn’t want them to get saved. No way did he want to go and preach to them. So he fled; ran as far away in the opposite direction as he could. 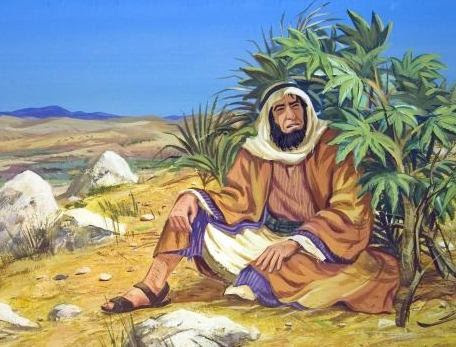 Jonah first went down to the seaport of Joppa and found a ship going to Tarshish. Very interesting destination, though no one to this day knows exactly where Tarshish is, or was. Many scholars believe it was way over on the the Atlantic coast of Spain. That’s about 3,000 miles away, folks! 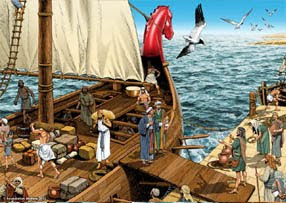 Jonah arrived in Joppa, paid the fare, and boarded the ship. He tried to make his escape but the LORD didn’t let him get too far away. 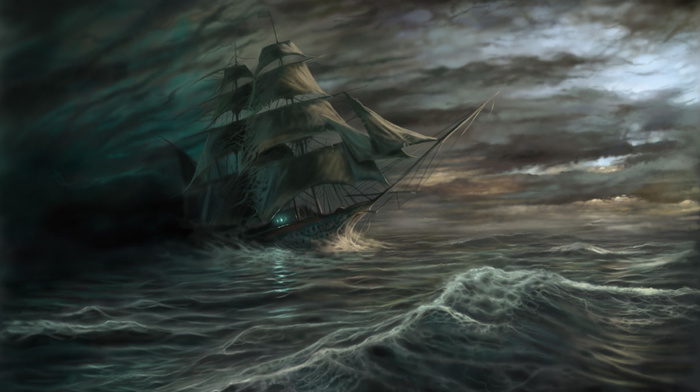 He sent a great wind which kicked up a mighty tempest that was so strong, the ship nearly broke apart! Needless to say, the sailors were terrified! Each cried out to their respective “god” for help, but no help came. This should come as no surprise as there is only One True God. Then crew tried everything they could think of to lighten the ship, like throwing things overboard. Nothing worked. Here they were in grave peril, ALMOST every hand on deck, struggling and straining to save themselves. But they looked around and noticed someone was missing: Jonah. Where was he? The captain went to investigate. Does this scene ring any bells? It should. Who else do we know that was asleep in the boat during a great tempest? Yep, you guessed it. Jesus!! 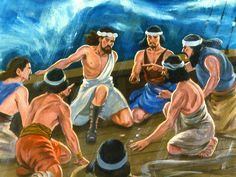 He was sleeping in the boat with His disciples on the Sea of Galilee, completely unconcerned about the storm. Jonah 1:7-9 “And they said to one another, “Come, let us cast lots, that we may know for whose cause this trouble has come upon us.” So they cast lots, and the lot fell on Jonah. Ah, now the light dawns! You see, they realized that Jonah had fled from the presence of the LORD, the One Who sent the storm. They knew that this man would know what they needed to do to make it stop. But they were stunned by his answer. Throw Me Into The Sea. What? Throw him overboard? Who is the guy? Some kind of a nut? Well, they didn’t think that was a very sound idea…..at first, so they tried to row against the storm and reach the shore. But the storm only grew greater. They couldn’t make any headway. 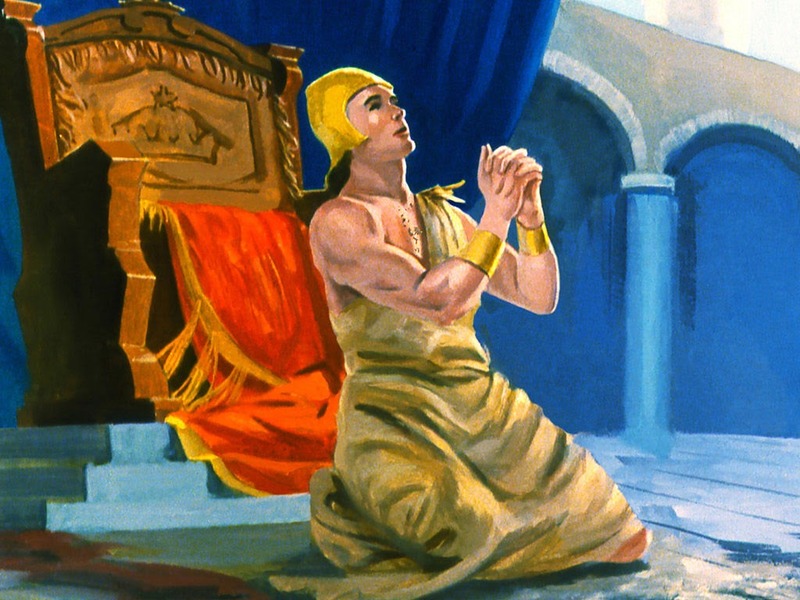 They finally did a very wise thing: They cried out to the LORD, The God of Israel. No more “other gods!…..AND they offered a sacrifice to Him! Of course, The LORD was waiting for this event. 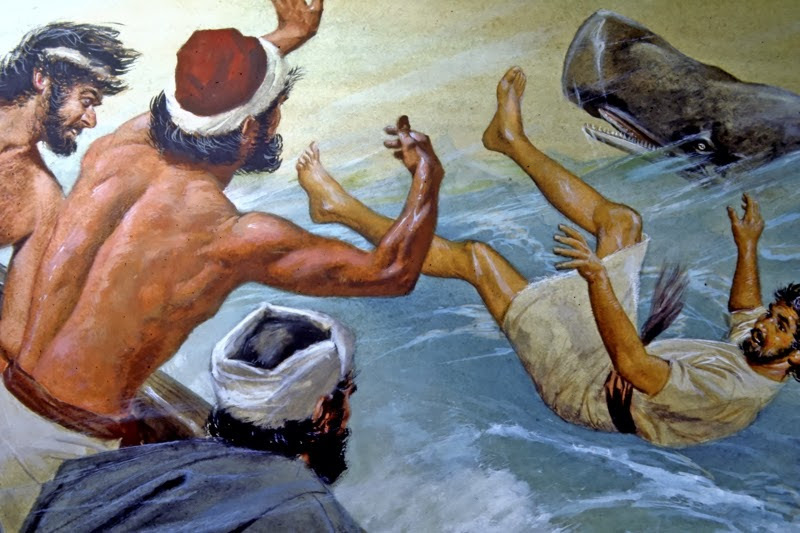 He had this great fish prepared to swallow Jonah and there he remained for three days. If that isn’t the most fantastic tale I don’t know what is…..and it’s all true. This event really happened to a real person. But the Holy Spirit has recorded it for us to tell us about Jesus. At last, Jonah not only hears the word of the LORD. 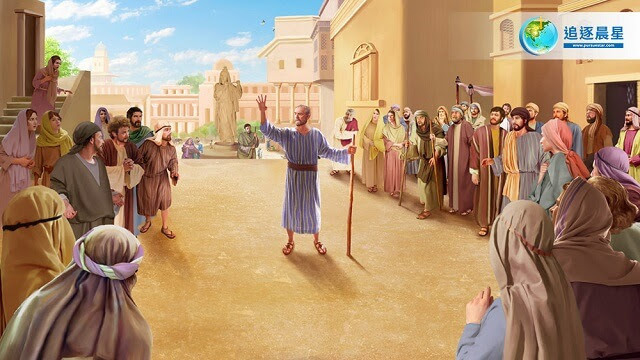 He obeys His word, goes to Nineveh, and delivers a stern warning. Lets’ read on. Now, Jonah had just come from his ordeal of being in the belly of a great fish for 3 days. Being affected by all those digestive juices, he must have looked terrible! They took one look at him, heard his words, and believed him. They all, from the king to the lowest man, repented in sackcloth and ashes. Not only that, the king sent out a decree for a total fast; no eating or drinking by either man or animal. 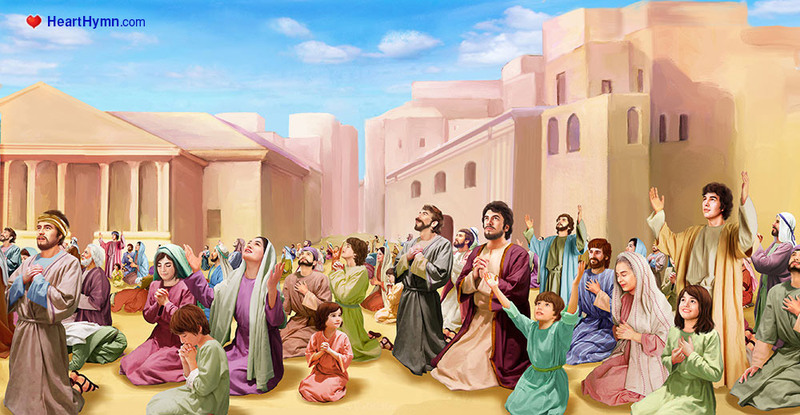 He commanded that everyone to turn from their evil ways and cry mightily to God. Perhaps He would turn away His fierce anger and spare them. They were so sincere about Jonah’s message that they tore down all their idols and determined to follow the True God. WOW!!! How would you like to preach a sermon and the whole stadium get saved? You’d think that Jonah would be happy at the outcome. No more torturing and killing of his people. Maybe they could finally live in peace. But no, Jonah was not pleased. In fact, he was so angry he wished death for himself. Not a very good attitude, is it? But isn’t he just like us sometimes? We humans often have this sense of justice that wants to see the guilty get what they deserve. But God isn’t like that. He is a God of grace: UNdeserved favor. He gives us what we DON’T deserve because Another took what we DO deserve. Good thing, because if He gave us what we actually do deserve, we would all go to hell. But God SO LOVED us that He sent His only begotten Son, that WHOSOEVER believes in Him should NOT PERISH, but have eternal life. In this story, we are reading what Jonah did. All of it is a picture of Jesus. Throughout these four chapters are pictures of what He did for us. Count the number of times it says he went down: 1. 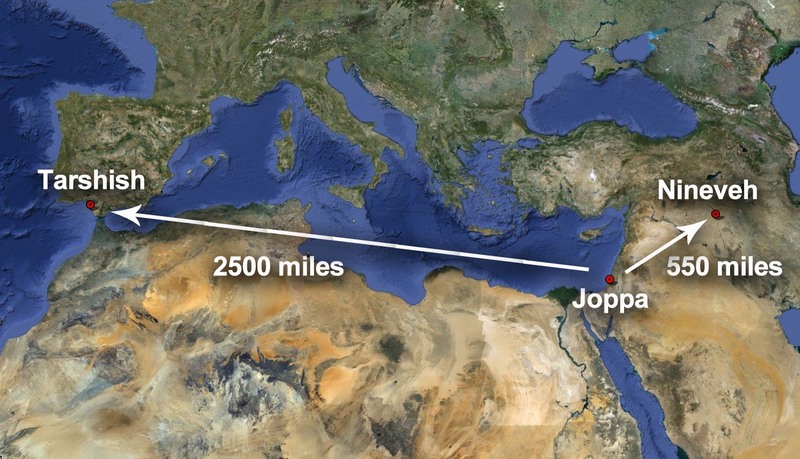 Jonah went down to Joppa. 2. He found a ship that was going down to Tarshish. 3. He went down into it. 4. He went down into the lowest part of the ship. 5. He went down into the sea. 6. He went down into the belly of a great fish. That’s 6 times. Add one more to Jesus’ story and you have seven times. 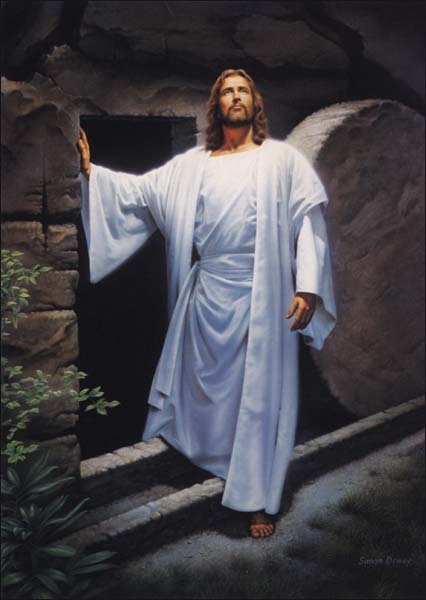 #1: He came down from heaven. That makes seven times He came down. No one before or since has humbled himself more than our Lord Jesus. He emptied himself of all He was and all that He had. He was made in the likeness of men. Because He did that, He is exalted above all others and given the Name that is above EVERY Name. That at the Name of Jesus, EVERY KNEE should bow. What name is holding you hostage? Do you need healing from a disease? At the Name of Jesus, you disease must bow. Do you have a financial need? At the Name of Jesus, that need must bow. Do you need healing in your marriage or relationships? At the Name of Jesus, that must bow! Name your problem. Jesus has overcome it! There are pictures of what Jesus suffered for us. He died and was in the “belly of the earth” for three days. But God did not leave Him there. He rose again with a new, incorruptible body to be our Great High Priest forever after the order Of Melchizedek! He is the greater Jonah! But I see something else. 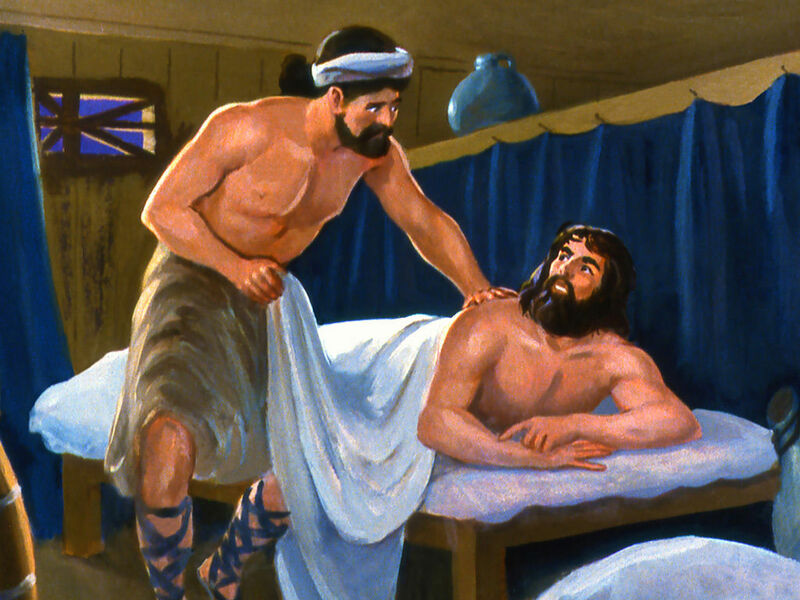 This curious story is a timeline of events involving Jesus, Israel, and the Church. 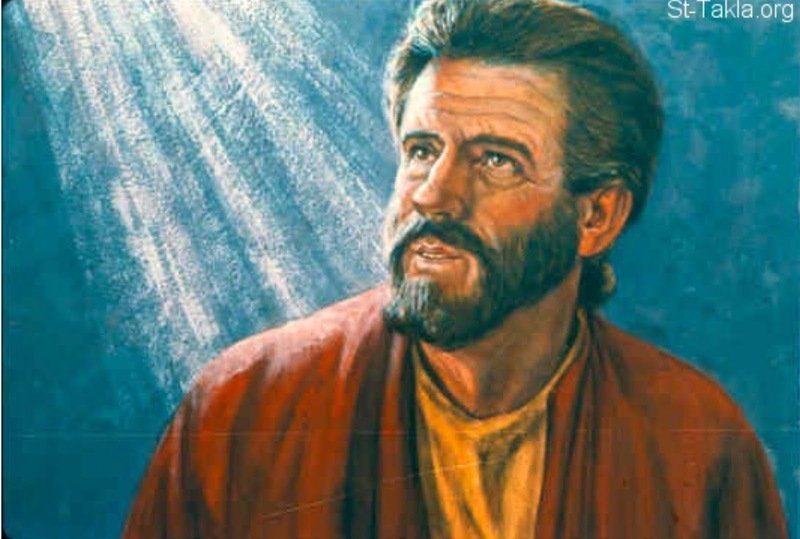 Let’s think for a moment: Why did Jesus come to earth the first time He was here? He answered that question personally, in Matthew 15:24. He came to His own people first. But they ultimately rejected Him, both in their homeland and in the diaspora, so God began to offer salvation to the Gentiles. For 2,000 years, the Jewish people wandered from place to place finding only sorrow, persecution, rejection, and death. Finally, they were given a land to call home in 1948 when the State of Israel was born. During that 2,000 year period, the non-Jewish nations of the world believed the message of the Gospel and were saved in droves. They went throughout the world preaching the Gospel to others, bringing great joy to God’s heart. I softened the rejection He felt from His own people. Today, many Jewish people are discovering that Jesus was, indeed, the Messiah for whom they had waited and that they missed their first visitation. The Church is now comprised of both saved Jewish and no-Jews alike! The men in the boat who threw Jonah overboard are a picture of the Jewish people in their rejection of Jesus as their Messiah. As soon as he went into the sea, it became completely calm. Afterward as you know, he was swallowed by a great fish, was in its belly for 3 days, and then spit out onto the land. Fish are typically a picture of individual believers. But what swallowed Jonah was a GREAT FISH, in whose belly he was for three days. Who has had Jesus primarily all to themselves for 2,000 years? The Church! Are we filled with the Holy Spirit? YES!!! I submit to you that this GREAT FISH is a Holy Spirit picture of the Church in whom lives the Spirit of God: The Dove: Ionah! So now, maybe the Story of Jonah doesn’t seem so curious after all. ← The First-Born Blessing: Double Portion!